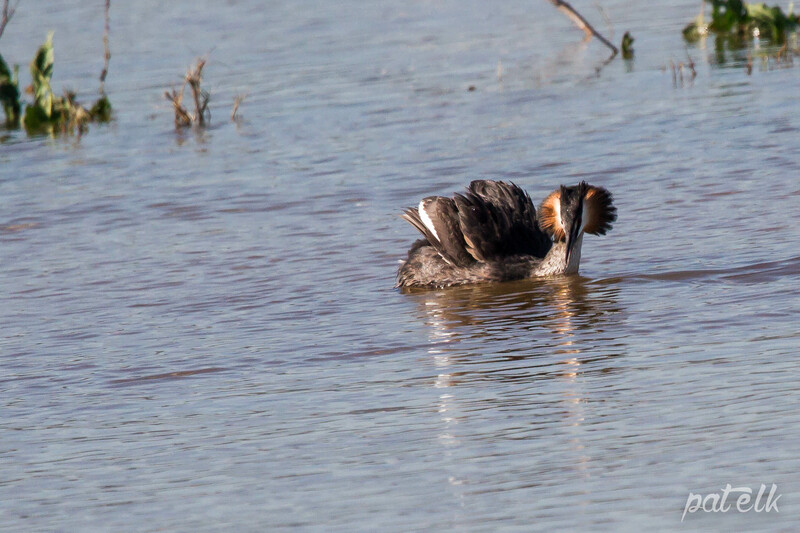 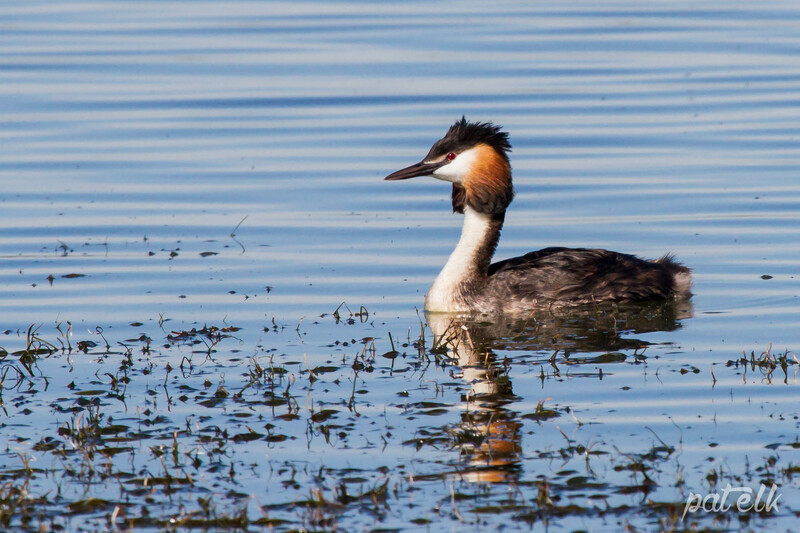 The Great Crested Grebe (Afrikaans name Kuifkopdobbertjie) is the largest Grebe with striking ruffs on the sides of their head. 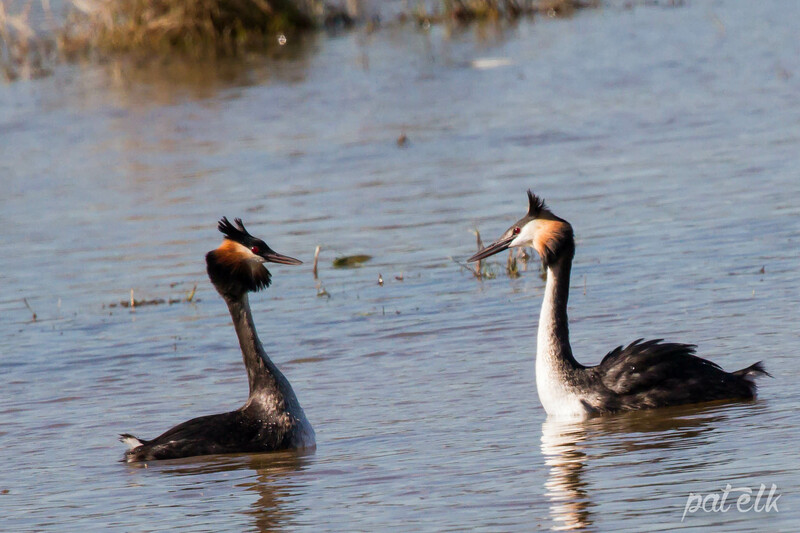 Their courtship ballet is dramatic and is something to behold, they approach each other fanning their ruffs, shaking their heads from side to side. 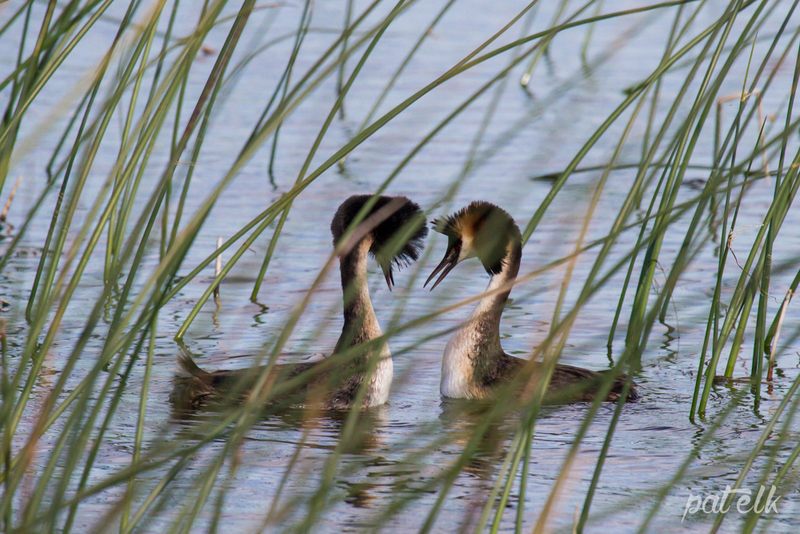 They also dive deep, coming up with tufts of aquatic greenery which they offer to each other.